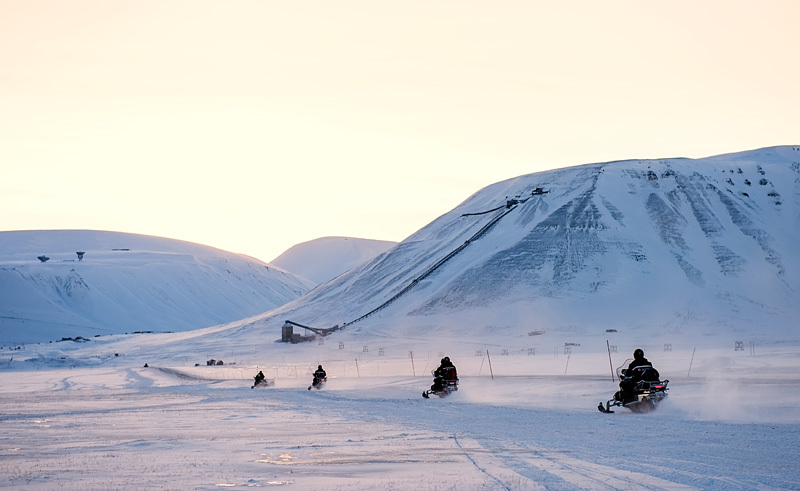 This tour will take you to the Russian mining town of Barentsburg by snowmobile. Barentsburg is a very different type of town when compared to Longyearbyen, but the combination of recent refurbishment and Soviet-era propaganda make it a must-see settlement. You will head West through Nordenskiold Land and during the trip you will make several stops where the guide will tell you about the local landscape, fauna and history. In Barentsburg you will enjoy a guided tour and lunch from the Russian Kitchen. Weather permitting you will different route on the way back to Longyearbyen in order to see more of this fascinating area. Price: from £218 per adult (twin share); from £320 single rider.